Switching subscriptions to CSP means more top line revenue and an incentive to sell. 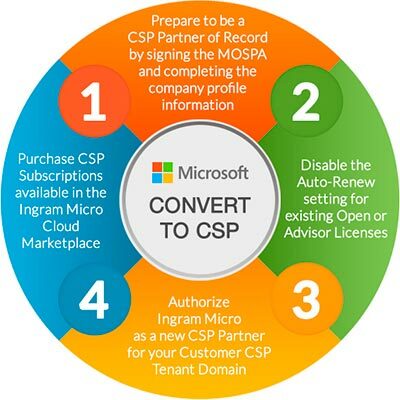 The CSP program gives our channel partners the flexibility to bundle their own services alongside Microsoft’s as well as create custom offerings for more product attachment opportunities. Regain control of business processes like pricing, billing, contracting, and support under the CSP model. A more centralized process means that our channel partners can reclaim their status as a trusted advisor to their customers.